The race to break into the Erie Canal’s lock on Ohio’s Midwest grain and corn markets was already on. Pennsylvania State had committed to fund its public/private, canal/railroad alternative, and Ohio approved an 1837 (Ohio) Loan Law creating a state program to loan one-third of canal or railroad expenditures to private entrepreneurs. 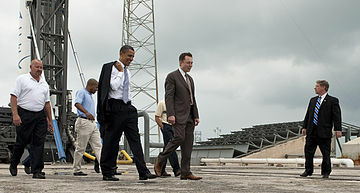 Like today’s Space X, the new frontier beckoned. Baltimore, the nation’s third largest city at the time, committed to an unproven and horribly expensive mode, the railroad. 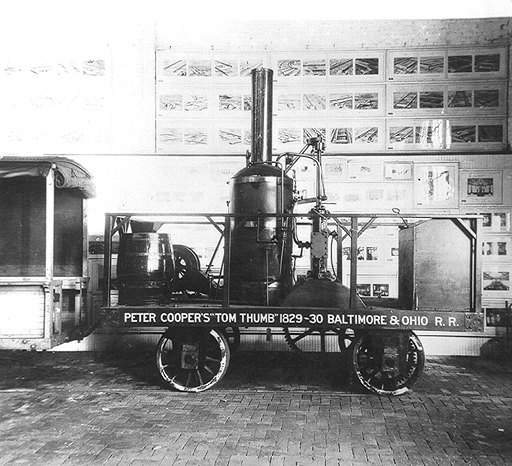 Inventor/investor, Peter Cooper (former real estate developer of Baltimore’s Canton neighborhood) and twenty-five local business investors led by Charles Carroll (signer of the Declaration of Independence) needed to raise venture capital (VC) for monies to finance design and installation of track, railroad stations new technology to compete in the race to Ohio. They had no track nor locomotive, just a hope and a prayer–and community support. The investment group (1827) issued a 42,000 share “subscription” (a low-priced stock offering) to the Baltimore community. Like today’s crowd-sourcing, hundreds of Baltimore residents bought a share or two in a railroad with no assets or locomotive–$3mm (1827 dollars)–a substantial sum–to lay track between Baltimore and Ellicott City. With the track installed (1830), the investors proposed a late summer race between a horse/stagecoach and Cooper’s new-fangled invention, the “Tom Thumb” locomotive–America’s first steam-powered locomotive. The hope was the race would motivated investors into a second VC round to finance Tom Thumb, “the engine that could”, the locomotive that would power the Baltimore & Ohio and to open up Ohio’ isolated agricultural production to eastern markets. VC flowed into the project, however. The 1830 race triggered a City of Baltimore buy in. In return for board seats, the City injected $3m equity (proceeds from tax-exempt municipal bonds) into the private company, reorganized into a hybrid quasi-public city commission. Empowered to issue tax-exempt bonds and conduct eminent domain/tax abatement, that city commission/private corporation laid the track, built local stations and developed a working locomotive, complete with patents. B&O went on to win the competition with Pennsylvania. B&O built the first passenger station and profit-making steam locomotive, and the first to enter Ohio (1852). B&O went on to become today’s CSX. Nearly 200 years later, innovation and VC still reflect hope, not actual performance. 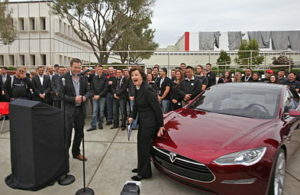 While Tesla’s Elon Musk got off to a better start, his Tom Thumb electric car already “worked” (selling for $100,000 with somebody else’s battery). Yet, despite no profits in sight, Musk’s “Tom Thumb”-equivalent electric car drowned in private/federal/municipal/state VC–like the 1830 B&O. Tom Thumb provides a glimpse into our three hundred-plus year economic development history, a history that includes public VC for privately-owned technology innovation–not to mention crowd-sourcing. In Baltimore’s city commission one sees an early version of our quasi-public development authority, and a government VC EDO. What’s more this was not new in 1830. State equity capital to private firms began in the colonial period. Tom Thumb and the B&O were only one example of literally hundreds. BTW the commission was not the first public/private railroad EDO either, that being in 1817 New Jersey. American state and local economic development enjoys a long, and meaningful history–a history that is almost completely unknown to almost every economic developer. Arguably most of what goes on in today’s modern economic development was developed in recognizable form hundreds of years ago. Innovation did not start with the Internet or the knowledge-based economy. Our history offers value to current economic and community developers. It is worth your time to understand it. American economic developers often subscribe to a version of ED history derived from the three “WAVE” paradigm”. In that paradigm, modern” (post-industrial Third Wave) ED is a new era vastly different from anything previous–a brave new world. The First and Second Waves, characterized by Chambers, boosterism and heavily-laced with inappropriate, ineffective and immoral business incentives, passed into history. Third Wave economic developers prided themselves for discovering innovation, “the entrepreneurial city and state”, technology and gazelles, VC–and more. The great EDOs of the Third Wave were government, nonprofit and universities. The private EDOs were thrown into the dustbins of history. The reality presented in the As Two Ships history is these strategies previously existed and government was a major player long before the post-industrial age. “Post-industrial” economic developers retooled/renamed several hundred year-old existing ED tools/strategies, formed new EDOs, and devised new jargon and thousands of pages of legitimizing theory, concepts, and algorithms–to fit their “modern” world view. Those who do not know history are condemned to repeat it–mistakes and all. It overwhelms us. There is too much of it. Past economic developers wore different clothes and didn’t use the correct jargon. They were often politically-incorrect. Worse, our history is often not what we think it is; a lot of it doesn’t fit into our current perspective–and we usually don’t like that! How do we deal with these problems? First things first, let’s break down the bulky history. As Two Ships reconverts two historical realities into themes that “break down” the accumulated mass of history into manageable bites. The two organizing themes were (1) a temporal classification system called “Eras”–that included within each Era thematic sub-time periods labeled “Ages”; and (2) the recognition of America’s three macro-regions, North (New England, Mid-Atlantic, and Midwest), South and “West”. Each were settled by different ethnic/racial groups in different time periods, possessed unique histories, political cultures and congruent policy systems, and evolved local/state economic bases during different stages in American capitalism’s evolution. This Journal issue focuses on ED’s four “Eras”, leaving the “Ages” to another day. The next issue dwells on each region’s evolution through our American state and local ED/CD history. and our present-day Contemporary Era (post-2000). As Two Ships deals almost exclusively with the first three. A second and third volume expanding on the Transition Era and Contemporary Eras, loosely sub-titled “Reinventing American ED” and “Twilight of Growth“, are well-advanced. The Early Republic Era is the least known. It is also perceived as the least relevant. That’s a major mistake. If the reader could only read one set of chapters in As Two Ships, I would urge Chapters 2-4 which dwell on the the Early Republic and development of northern industrial Big Cities. That’s where/when American state/local ED really started. A Chapter title, “As the Twig is Bent” captures why this Era is so important. By the end of this Era, the framework and basic structures of our Contemporary Era’s fifty state ED system was established. The remainder of the history follows logically. In this article I elaborate more on this Era and future issues will flesh out the others. Industrial capitalism developed during the Early Republic Era. During Washington’s presidency, there were only fourteen banks in America–all, save the Hamilton national bank, were state-chartered. There were no canals, steamboats, or railroads, and no road or bridge system to connect the states, or even the cities within the states. 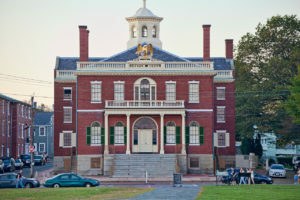 Salem Massachusetts was our seventh largest city (7900). Custom duties were 90% of the federal budget. Commercial goods got from one state to another principally through coastal commercial ships. States were isolated and trade/travel was a semi-hazardous, expensive and time-consuming affair. The need for infrastructure was huge–and that turned out to be the primary task of American ED. To develop infrastructure meant fostering innovation and assisting Early American entrepreneurs, while mitigating the disruption caused to the dominant national agricultural/trade economy. Tariffs and protectionism were top issues on the national agenda. Sound familiar? Their second task, to facilitate new gazelle-like sectors and industries developing in the post-1800 decades–loosely known today as “manufacturing”. Textiles (clothes, shoes, and machinery) were the first, but alongside were farming/food processing machinery, chemicals, machine tools, transport modes (Tom Thumb), energy and communication equipment, and steel (requiring coal). America, like modern day Japan and China, stole a great deal of technology from England. 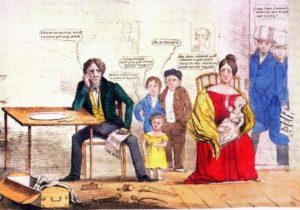 Without an American domestic finance system however, England provided a great deal of American commercial financing–until the War of 1812. That largely unknown war jump-started American state and local ED. After it America needed to find new ways to fund its emerging expanding agricultural production, manufacturing and infrastructure-related technologies. Two decades after that war, evident by our lead-in Tom Thumb tale, American ED had fabricated the first public/private partnerships, VC instruments, startups financing, tax-exempt bonds/loans to business, municipal/state attraction and retention through tax abatement strategies,. 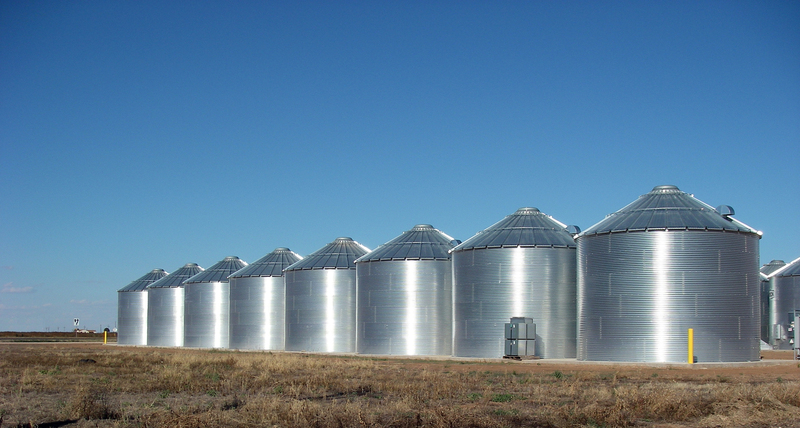 Developing shovel-ready sites, and competing state business climates were all in place. Why all this ED happened is simple. If growth and prosperity was to occur, America needed infrastructure. Infrastructure was the midwife of modern ED. The need to install/finance critical infrastructure to grow was the functional equivalent of today’s knowledge-based economic development. New cities needed (1) to be built and older cities (2) needed to modernize. Urban development (city-building) and redevelopment (CBD urban renewal) were pervasive. 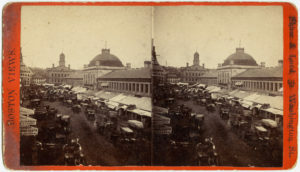 Boston’s first urban renewal project–redevelopment of a deteriorated waterfront, a 1742 marketplace building (Faneuil Hall), and adding Quincy Market–was in 1826–Mr Rouse’s was late to the game. Equally widespread was yet another major ED strategy, city-building. In this Era most of our Eastern (and San Francisco) cities were established, the eastern Midwest was settled. Cleveland, Cincinnati, Chicago, Kansas City, and even Minneapolis were founded. New industries, sectors, cities, infrastructure and industrial technology were the fuel for of Early American ED. These new gazelle sectors formed the economic base of the new cities. 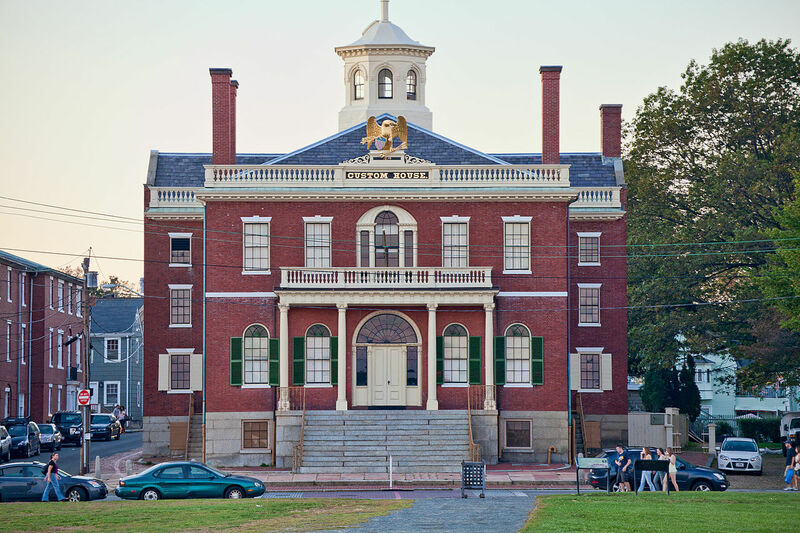 Recalling the importance of political culture (topic of our previous issue) these early ED strategies were produced by policy systems created by a city’s (state) First Settlers, the authors of constitutions and basic laws/municipal charters. These First Settlers, the elite vanguard of a series of sizable ethnic/racial population movements that occurred during the Era, spread versions of Privatism and Progressivism to the Mississippi and cemented them into urban/state political structures. From these policy-making structures poured the strategies, tools, and programs of American ED. 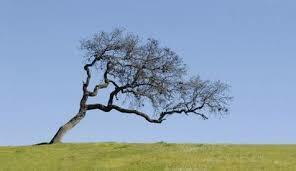 These policy systems and political structures governed public/private relationships, “bending the twig” to forge what eventually evolved into our Contemporary Era Red and Blue State competition. The Panic of 1837’s ultimate result. Enter a Black Swan. The disruption to American ED caused by a crippling depression, the long-lasting Panic of 1837 (extending into the 1840’s) caused a popular opinion/policy system reaction that turned past ED strategies and tools upside down. The previously dominant EDO, the private/public charter (Baltimore’s commission), was linked to bankruptcies, conflicts of interest, legislative ineptitude, and serious corruption. It required huge tax increases to pay off their debt. A series of state”reform” laws spread across the nation over a decade. Today these laws are known as “gift and loan clauses“. The uniqueness of these clauses to each state, shaped that state’s “style” of ED ever after. Why? Economic growth meant economic developers had to work with the private sector, and that meant not only ED strategies, but also developing EDOs that conformed to each state’s unique gift and loan clauses. These hybrid “quasi” EDOs were essential to public/private interaction–the prerequisite to economic growth. State “gift and loan uniqueness” precipitated a similar uniqueness in devising subsequent “bypasses” to the gift and loan clauses. These two dynamics evolved over the next 175 years to produce today’s decentralized, variegated and competitive fifty-state American ED–exposing, BTW, the centrality of First Settler political culture to contemporary ED policy and strategies. The post- 1837 Panic reaction hardened into a policy cement when ,in 1868, an Iowa judge, John Dillon, decided that “cities were creatures of the states“–and the national Supreme Court decided to not challenge that decision, but rather to impose it (by default) on all the states. The cultural-legal legacy of each state insulated it from its neighbors–and allowed each state to define how, and for whom each ED strategy, tool and program would be used–or not used. ED strategies, tools, and programs with the same name or title were used for different purposes, favored different constituencies–or remained largely unused in the state’s quiver holding its “ED arrows”. By 1870, American local ED had developed into a state-defined/approved ED system, consisting of EDOs with state-authorized powers, tools and programs, as well formal policy processes and structures, and most of all, distinctive definitions of public/private partnerships. From that point on local economic developers cajoled the state to amend or bypass these laws to create EDOs that could legally employ tools (tax abatement, eminent domain, property development/ redevelopment, business lending, equity financing, and bond issuance) that met the state’s requirements. Each state did it in its own way, affected by its distinctive political culture, economic bases, and political/policy dynamics. 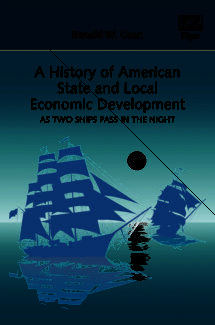 This multi-decade evolutionary adjustment poured the foundation for our Contemporary Era’s state business climate competition, and cemented what had been a confused and diverse set of state reactions to a severe depression into a decentralized and idiosyncratically varied fifty-state American economic development “system”. The Classic Era has so far proven our longest. The starting point to understanding this Era is the “industrial Big City hegemony”. That hegemony rose out of the Union’s Civil War victory over the South. That “political hegemony” was augmented by the emergence of “industrial capitalism”, housed and headquartered in the economic bases of the Union’s “Big Cities”. That industrial capitalism grew these Big Cities and allowed them to dominate, i.e. control, the national economy. With a new cheap workforce, provided by a half-century of immigrants, those innovative firms and their Big Cities determined the “content” of American economic development–driving underground in the West and South the different forms of American ED (MED and CD) that would later emerge. The Classical Era is characterized by “growth”–or in the case of the South and West, the quest for it. Classical Era policy systems/ED strategies reflect the primacy of growth. Economic developers chased people and businesses, not jobs, for status/prestige, local economic diversification, and economic security in a turbulent and disruptive Era. States were reluctant (and mostly missing) ED participants in this Era. 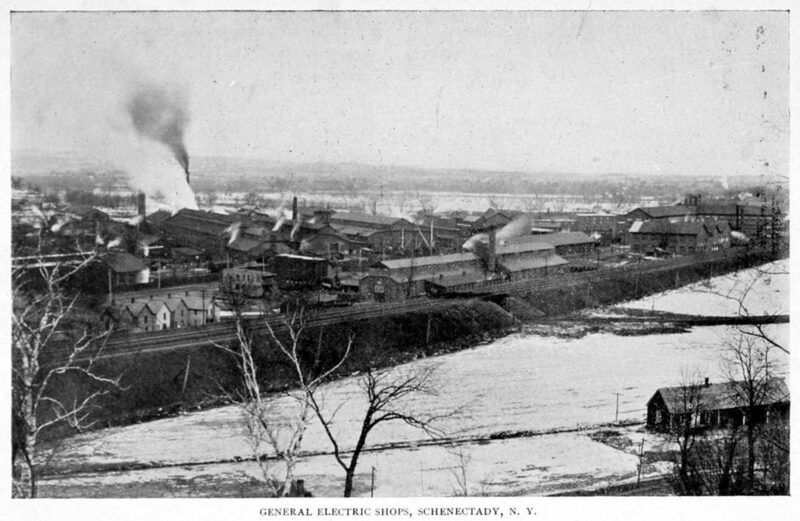 Economic development was led by each state’s large industrial municipalities–the Big City. Competition among cities was intense. The “WAVE” history is correct in that regard. Incentives were pervasive, but certainly not used to the extent they are today. WAVE history is also correct in asserting chambers were the Big City’s lead EDO–but chambers did a lot more than simply compete with incentives. Chambers dominated Big City policy systems. Chambers advocated for infrastructure, tourism, export, municipal home rule, increased government capacity and national business regulation. Hegemonic Big City Chambers by the turn of the century were Progressive (Boston, Cleveland, Detroit are excellent examples). Chambers were the engine behind the municipal-relevant Progressive Movement. What was true for the hegemonic North/Midwest, was not true for the remainder of the nation: the South and West. The hegemonic Big Cities faced little opposition from the much-smaller cities of the South and West. To the hegemonic Big City firms and industries, these regions were markets to be exploited and/or places to reduce the cost of production. Indeed, the Hegemony indirectly shaped much of economic activity in these cities–that is what WAVE history’s “chamber boosterism” was all about. Hegemonic chambers competed against each other–New York vs. Chicago for example. 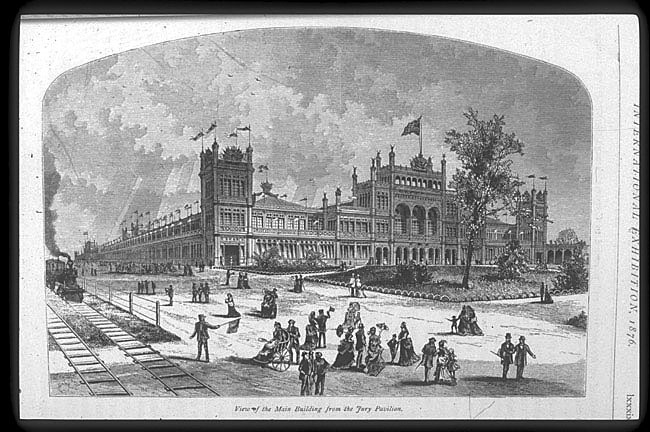 Philadelphia Exposition Main Building–the tenth largest building in the world. 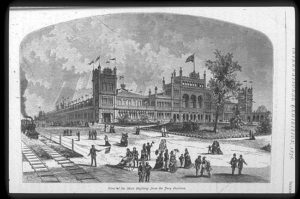 But other non-hegemonic cities wanted in–and so they copied Philadelphia’s 1876 Exposition, and turned it into a seventy-five year plus “Exhibition/World’s Fair Movement that served as exhibits of local technological excellence and marking their entry into the nation’s competitive urban hierarchy. Contemporary Era derivatives of this Exhibition Movement are Olympics, big sporting and entertainment events, and sports stadiums (and technology conventions). The Exhibition Movement did not resolve disparities among regions, however. In the eyes of many in the South and West, cities and local economies were reduced to something likened to a hegemonic colony. Northern insensitivity, if not imperialism regarding other regions frustrated many non-hegemonic economic developers. Throughout the entire Classical Era western economic developers used marketing/boosterism to attract northern investment–southern economic developers used ED incentives. The latter generated a shadow war that first appeared after WWI. 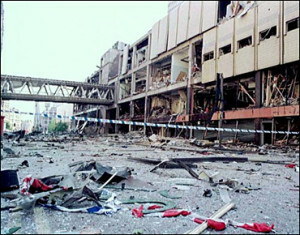 The skirmishing erupted into a 1975 Second War Between the States–a war conterminous with the Fall of the Classic Era. Internally, Big Cities were growth machines. Big City policy systems installed the physical infrastructure and approved land use to accommodate incredible surges in population, and the constant tumult of growing constantly innovative industrial sectors. In reaction to this, 19th community development (CD) rose–almost exclusively as a northern industrial immigrant-focused Big City approach. That shall be discussed in a future issue. Mainstream ED (MED) practitioners could have cared less. By the turn of the 20th century they turned their attention to increasing the “capacity” of urban government, to remake municipal government into an effective partner in Big City growth. 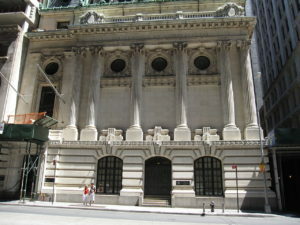 At the same time, America’s oligopolistic corporate elite shifted their attention to Washington and a new U.S. Chamber of Commerce–leaving Big City chambers to the local/regional business community managed by MED’s first professional association: the Chamber secretary and its primary EDO, the chamber industrial bureau. In the 1920’s the U.S. Chamber return the favor by creating as its subsidiary, a locally-based professional association exclusively focused on economic development. But everything sooner or later comes to an end. In 1920 the nation became more urban (51%) than rural. Immigration was halted and a massive internal migration, the Southern Diaspora and Great Migration, replaced it. The Depression and War Years brought the federal government deep into state and local ED (a future Journal issue). Creeping decline, in the form of metropolitan decentralization (some call it suburbanization) also appeared in the 1920 census; 17% lived in “suburbs”. That proved to be the statistic worth watching. By 1960 31% lived in suburbs, 32% in the Big City. In 1970, 36.6% lived in suburbs and only 31.4% in the central city. Between 1920 and 1970, hegemonic Big City economic and community development was tasked to counter this “decentralization” by capturing for the Big City the benefits of suburban “growth”. Without realizing it, however, northern hegemonic Big City ED strategies were dealing, for the first time, with decline. These forces–the wars, depression, and dynamics of decline and a host of important other factors (deindustrialization, for example)–combined to form a “perfect storm” in the 1960’s and early 1970’s. On a good note, that perfect storm generated a second, urban-based, professional association in the late 1960’s. But the forces unleashed on Big Cities by this perfect storm were not easily confronted (more on that in later issues) and symbolically, in 1975-6, the largest of the industrial hegemonic Big Cities, NYC, entered into fiscal default, taken over by its state. The industrial Big City Hegemony was revealed to be an “emperor without clothes”, an urban cemetery, or a playground for the unfortunate. Caused by regional change, shift from manufacturing to service, deindustrialization, or just simply the not-at-all sudden rise of the Sunbelt, the Hegemony passed into history–taking the Classical Era with it. The Classical Era was over. I named this time period the Transition Era because that is exactly what these twenty-five years were. During this period we discovered decline in so many new ways. Classical Era suburbanization picked up steam–by 2000 more Americans lived in suburbs than anyplace else combined. Suburbs left in their wake the so-called “legacy city” a fiscal, employment and demographic shell of the former hegemonic Big City. Not to be outdone, the Big city industrial base deindustrialized. Manufacturing already in the suburbs since 1940, left the region and the nation–worse, manufacturing redefined itself into “advanced” manufacturing and nudged us into something called knowledge-based economic development. Hegemonic Big Cities, the site of most crushing deindustrialization, refocused its MED toward something called “job creation” (around the mid-1980’s), giving up on stopping population outflows. Classic Era population growth, the ED’s goal during the Classical Era, fell by the wayside–at least according to the academic policy world and legacy city mayors. The West and South paid little attention. A new regional pattern developed from the vacuum created by the dead northern/Midwest hegemony. The nation as a whole grew by leaps and bounds (demographically and economically) until the 2008 Great Recession. Sub-regional patterns developed like the New South alongside the Old South, Texas and the energy southwest, central states lost visibility, and mountain states discovered skiing and tourism. Americans were still mobile in the Transition Age. After 1970, spurred by legislative reform, huge numbers of foreign born immigrants piled into our cities/states. California, Texas and New York (City) did especially well. A sizable generational migration, followed by succeeding generational migrations altered the regional cultural and demographic composition. This generational migration coincided with a new view of “growth”, growth management, quality of life, and something called “environmentalism” redefined–and some would say confused–the profession’s sense of direction and purpose. 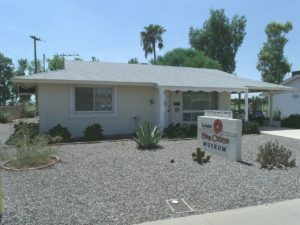 Del Webb’s Sun City retirement community “model”. City-building and simultaneous suburbanization differentiated the Sunbelt ED and demographic landscape.With considerable Big Sort population flux, city-building (retirement communities, master-planned communities, condo associations-Privatopia and unincorporated “communities”) created vast geographies composed of new types of policy systems–expanding the thematic focus of American sub-state ED. Nowhere was this more evident than in California–the mother-basket case of Contemporary Era’s sub-state ED. Beginning in the 1970’s, America engaged “a Great Reindustrialization Debate” a rapidly changing ED policy world. Initially, its chief enemy was Japanese manufacturing. Out of the Reindustrialization debate poured a host of new strategies ranging from workforce to radically shifting industry sectors targets and making a cult hero of “clusters”, the Silicon Valley and Internet. Taking their own sweet time, new strategies incrementally evolved and many formally “jelled around the late 1990’s (knowledge-based economics, small business entrepreneurial innovation/ startups ecosystem). Seemingly out of the blue, states gradually entered into sub-state ED in a meaningful way. Developing their own configuration of strategies and programs, some states rode herd over local ED–others simply joined with the locals, each playing in their own ED playground. A Sagebrush War had erupted, alongside a hyperbolic state-led incentive war for political correct targeted firms and clusters. Business climate competition was ever more intense. The old Classical Era “stuff” re-functioned as well. First/Second Wave chambers led regionalization efforts, one-stop-shopping and policy advocacy, as well as CBD redevelopment, tourism, workforce. Community development exploded. Several CD strategies caught on like wildfire in immigrant and Great Migration central city neighborhoods. Neighborhoods emerged as a primary site in which to conduct ED/CD–so did CBDs. States experimented to fabricate a CD agenda that fit addressed state needs and politics–displacing and modifying significantly the implementation of MED (and Privatist) strategies and tools. CD and MED drifted apart into separate professional complexes. An immense gap opened up between practitioners and policy world economic developers. Never had Progressive and Privatist ED been so hostile to the other–and their strategies, tools and programs so zero-sum. The path to Contemporary Era Red/Blue polarization was blazed and bushwhacked during the Transition Era–a path that would transform the practice of American state and local ED maybe forever. New strategies, tools and programs prompted a bewildering variety of CDOs/EDOs and professional specialties. The robustness and vitality was not all to the “good”, however. It led to “Siloization” the establishment of multiple professional associations, a consultant-NGO-think tank “complex”–all of which destroyed whatever coherence American state and local ED had as a policy area and profession. 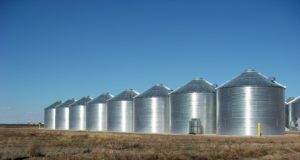 Everybody, it seems was doing ED, but “their ED” was narrow, specialized, expert-rational–and those not in one’s own particular ED cubicle-niche–silo were often not thought of as professional compatriots. The practice and the ED profession was revolutionized, bearing little resemblance to the Classical Era? 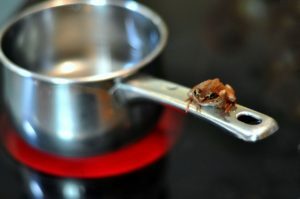 None of this had happened overnight–like the proverbial boiling frog it took its sweet time to affect American economic development. And then abruptly, precisely at midnight December 31st, 1999, it was over. American economic development had entered into “the Contemporary Era”. Transition Era change resembled in many ways the “end-product of our “boiling frog” metaphor. For better or worse, by the turn of the century the dynamic elements of the profession and policy area stabilized into a more or less durable professional/policy system “order” that while shocked by the Great Recession has persisted to the present. A contested ED “landscape” emerged with CD and MED slugging it out, in a thinly-veiled Privatist-Progressive struggle with strong “growth vs. decline” undercurrents. Both wings lost almost all connection to each other with MED basically ignoring CD and CD contesting nearly all strategies and tools employed by MED practitioners. The almost-still-born Great Recession recovery so fragile it weakened the consensus supporting (Great Reindustrialization Debate) economic theories that were the foundation for many Contemporary Era ED/CD strategies and programs. The Contemporary Era ED landscape exhibited a reluctant, grudging acceptance of suburbs and regional change as a fiat accompli. ED players redirected attention toward “metropolitan areas”, regional one-stop-shopping, university-driven ED, and multi-jurisdiction (regional) clusters–some even talked of mega cities. These region-wide initiatives, however, could not escape realities of jurisdictional chronic decline (Great Lakes) and hyperbolic, “trees grow to the skies” Silicon Valley-ese new economy growth. Metropolitan areas quickly divided themselves into two more or less stable patterns of growth and stagnation (if not decline). The Contemporary Era strategy paradigm called for stagnant metros to copy the success of growth metros. Growth metros themselves were divided between Privatist (Red) and Progressive (Blue) strategies. In the Contemporary Era ED and CD flourished at the neighborhood, municipal, and even regional levels–each operating in its own strategy and program space. Above these levels floated a newly-energized state-level MED/CD apparatus. State ED/CD led (mostly) by gubernatorial administrations that incorporated MED/CD into their electoral coalition and policy agenda. This politicization of state-ED was best expressed in the constant and pervasive incentive wars among states, with locals as junior partners. CD’s rise and downtown fragility fostered a host of new sub-municipal EDOs that autonomously operated beneath the city-wide/regional governmental/chamber arena. In many jurisdictions, these sub-municipal entities were where the action was, bringing citizens and activists into the MED/CD policy-making process. New municipal level policy systems emerged. At the municipal level many government EDOs developed hybrid CD/MED strategies. In many “Blue” states municipal government EDOs embraced Progressive CD strategies, while private city-wide EDOs autonomously pursued Privatist MED strategies–each oblivious to the other. Contemporary Era strategy robustness also meant policy complexity, fragmentation, as well as professional siloization and incoherence. CD/MED divergence triggered an associated gap between “on the street practitioners” and the theoretical-ideological policy world. The two dynamics reinforced by successive generational changes, more-often-than-not resulted in a endless parade trendy strategies and programs divorced from actual performance and reduced to rhetoric and data-driven analysis that floated way above the policy process. For all practical purposes, economic developers rhetorically chased the same “correct” industries, sectors and occupations/skills–using their version of the acclaimed strategy/ program du jour. In the process we discovered yet new unsolvable problems such as legacy cities, Two/Luxury Cities, gentrification, social justice as now “white privilege” and anti-corporate resistance, and what used to be poverty was now an impossible to define–or alleviate–inequality–an inequality that recently included “white non-privileged” Forgotten People. In essence, the end-goals of MED/CD had become hopelessly politicized, tied to the fortunes of media-hype electoral politics. And yet had American ED departed from its past heritage? Will that heritage reassert itself? Isn’t it time we assess our current realities by rediscovering who we are as a profession and policy area? But we cannot–we have no real history, no past on which to reconstruct a present-day context and frame our future. Our professional/policy area past has been collapsed into a vaporous and ideological-laden WAVE history that reinforces our polarization and misinforms us concerning the substance and value of our three hundred year heritage and professional experience.